Dynamic SEO India is the India's top SEO Service company providers, here at Dynamic SEO India, we offer complete solutions for your online business to grow faster, smarter and better by providing Search Engine Optimization and Social Media Optimization services in India, which are really crucial for your online business success and we believe that our success is directly related to our client's success and for a successful grown for our clients, we have the most dedicated and the most dynamic SEO and SMO team in India of youngsters, who are always ready to perform and give their best in order to increase the ROI for our clients. Apart from SEO and SMO services in India, we also provide SEO Training course in Delhi to the dedicated youngsters who are strongly willing to make their career in the Digital Marketing field, which includes Search Engine Optimization, Social Media Optimization and Online Reputation Management courses in our SEO Institute located in New Delhi. 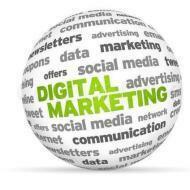 Our main motive is not just to take the classes and teach the basics of Internet Marketing. In fact, we train in that way, so that the trainee can use his/her own mind to get the things done and research on new tricks and techniques which helps them to become a master in their jobs and can serve their clients in much better than other professionals. What is social bookmarking in SEO and what is its importance? When we surf the internet for the information, we bookmarked some web pages in our browser so that we can read them later without surfing the internet again. But because of any reason if our browser get crashed or our system get formatted or if we are not at the front of that computer where we save our bookmark then we can’t access them. We have to again surf the internet to search those pages. To overcome this issue social bookmarking comes. Now we can use our bookmarks easily from any location using any computer which is connected by the internet. The web pages we bookmarked at social bookmarking sites is considered as a quality backlink in the eyes of search engines. And we all know that the quality backlinks helps us to increase blog traffic and Google Page Rank. That’s why SEO professionals include SB in their search engine optimization practices. best SEO strategies that is Social Bookmarking which comes under Off Page SEO. Dynamic SEO India conducts classes in Adobe Photoshop Training, CSS and Computer Course. It is located in Kirti Nagar, Delhi. It takes Online Classes- via online medium.